A very belated but happy wishes for your New Year, plus warm wishes to all, especially those experiencing the current icy and stormy weather that has gripped the United States. I can’t believe we have already arrived at the end of January. Time sped past these past two months — okay, it totally went into the blender —and I never got to send holiday cheers as planned. Mea culpa. My 10th century medieval trilogy (think Norsemen) is in the process of being “refreshed” and re-edited, and they are also receiving their new covers. That process is nearing completion, and when ready, all three books will be released very close together. 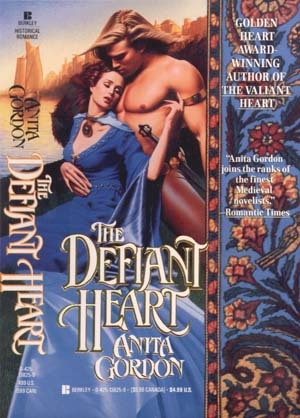 Please visit my website for the full descriptions of THE VALIANT HEART, THE DEFIANT HEART, and THE CAPTIVE HEART. My goal is to add a fourth book to the series in 2014 entitled THE GALLANT HEART. It made sense to release the HEART trilogy as quickly as possible, especially with the Viking cable movie coming this summer. Timing is everything! When VALIANT is ready for release, a small contest will be held to rename my hero’s sword. Yes, as strange as it may sound, Rurik’s sword needs a new name. Explanations and details to come. Due to the need to publish the HEART books asap, the release of PIRATES’ MOON has had to be readjusted. My apologies to all who have been waiting for its release. My motto is “No wine before it’s time, and no prose either.” I want the story to be all it can be. That equates to giving it the time it needs. It should be released later this year. On a slightly different note, HIS FAIR LADY’s exclusive availability on Amazon has ended and is back up on the Barnes and Noble, Kobobooks and Smashwords websites. It should be available on Apple, Sony and Diesel soon too. It also remains available on Amazon and Createspace as well (it’s just not exclusive to them any more). Wishing you all the best in 2013. See you back soon.